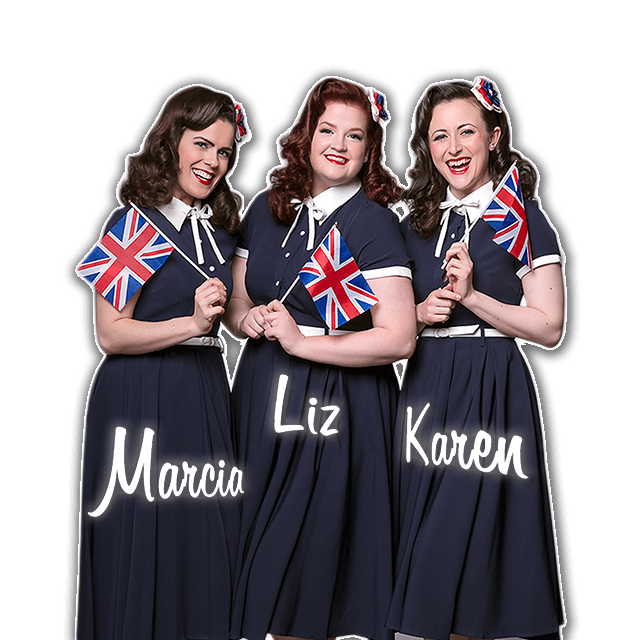 Sisters in spirit, these talented singers focus on strong vocals and brilliant harmonies to recreate the sights and sounds of a bygone era. 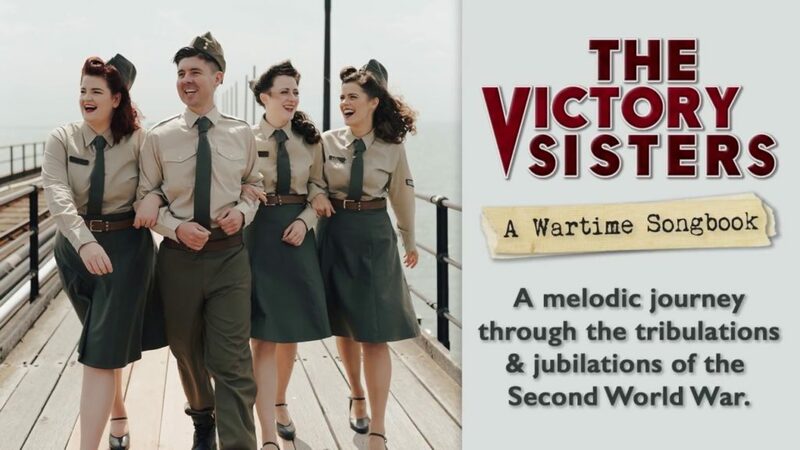 Combining their down-to-earth style with a love for all things vintage, The Victory Sisters perform all year round bringing their fun and lively music to parties, gigs and festivals across the U.K.
Liz, Marcia and Karen are three professionally trained performers who, as individuals, have been gracing the stage for years. 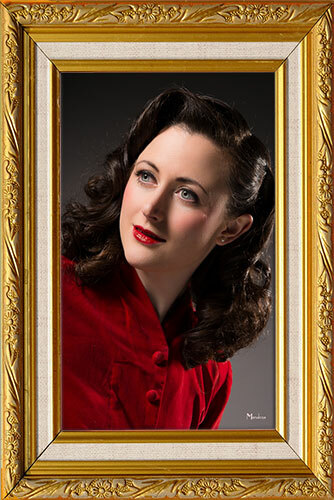 They found they shared a love of music from the 1940s as well as all things vintage. 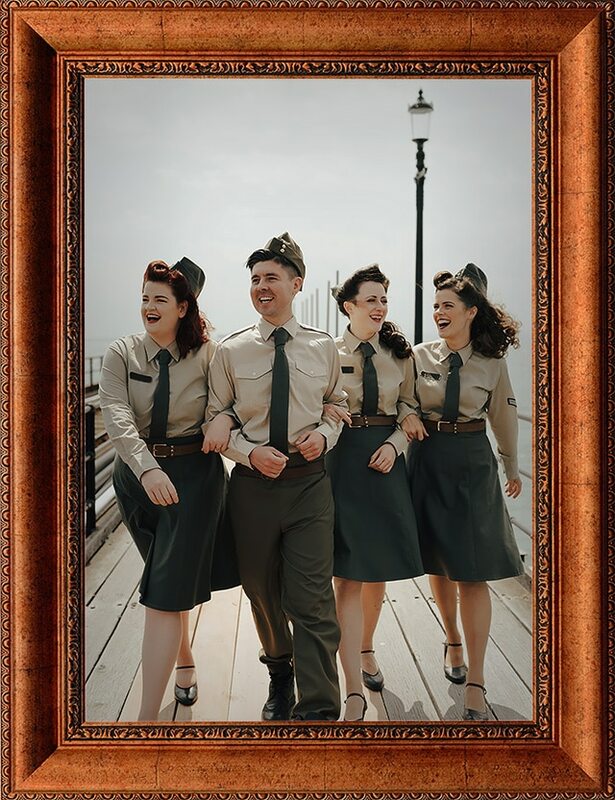 With an expanding repertoire of music including songs from The Andrews Sisters, Gracie Fields and Vera Lynn, they can provide that true sound of the 1940’s for your event. 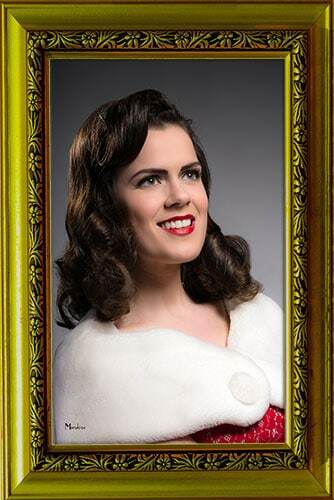 Liz has been singing since she was 15 after having her first lead in a school musical of Grease. 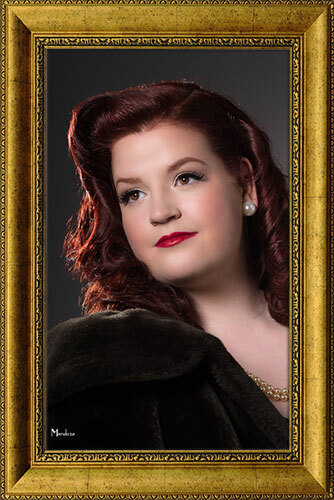 She has always loved singing with other people creating harmonies and groups like The Andrews Sisters were a huge influence in her musical style. 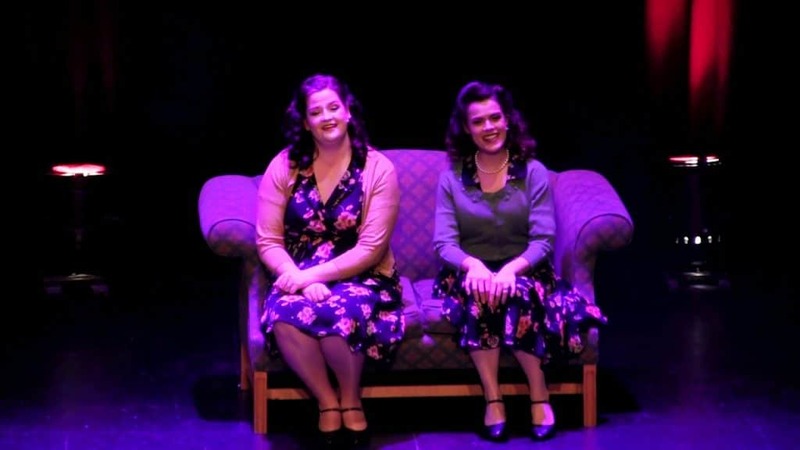 In 2014, she decided to embark upon a new venture and found 2 more incredible performers and The Victory Sisters were born. With Marcia’s velvety low tones and Karen’s crisp melody, Liz is the jammy filling that completes this harmonious sandwich. Food and music, two of Liz’s favourite things. Fun Fact: Liz loves swords and has 4 replica Samurai swords. She’s so dramatic. Karen spent the early years of her performing career singing across the seven seas on board P and O’s Oriana. After returning to land she went in search of singing opportunities on solid ground and was lucky to land a spot as one third of The Victory Sisters. From manning the ship’s helm Karen can now often be found manning the melody line, trying to keep the Sisters on a melodious course, though she often has to resist the temptation to join in with them on their juicy harmony lines. Fun Fact: Whilst at sea Karen did indeed learn to steer the ship and once successfully steered The Pride of Bilbao into Portsmouth Harbour all whilst calling Aye Aye Captain! Fun Fact: Marcia is the proud mum to a tortoise named Pomona. She’s always getting into michevious scrapes around the house.